Merlot is much misunderstood! 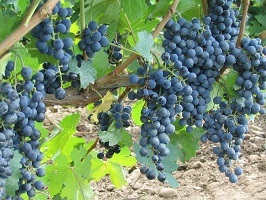 Regarded as something of the underdog to Cabernet Sauvignon in the classic Bordeaux blend, Merlot can stand on its own very well as a “single varietal“. Because cheap commercial Merlot has given the varietal a bad reputation. It’s time to set the record straight: Merlot wine is first class. Not only does it command the highest respect in the wine world, Merlot also tastes great with food. On the night we will taste several Merlot wines form the old and new world and hopefully challenge any preconceptions you have about this classic grape. Riesling, another misunderstood grape! Scared by our memories of poor German wine in the 1980’s Riesling wine has a colourful German heritage. Today, it has emerged as one of the most collectible white wines among top connoisseurs around the world. Often intensely aromatic Riesling can be dry or sweet and makes a great food match to spicy dishes.